We have another Q&A Livestream coming up, and you’re invited! Join Senior Game Designer Travis Day and Lead VFX Artist Julian Love on Wednesday, May 3 to learn more about the Necromancer and the development process around this upcoming class. Got a question for us? 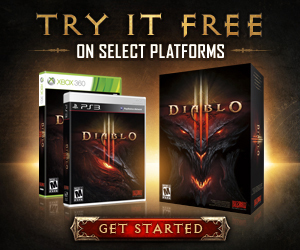 Submit any Diablo question by posting in this forum thread or via Twitter using the hashtag #D3QA. We’re hoping to answer as many questions as we can and can’t wait to see you Wednesday at 4:00 p.m. PDT. See you there!